Storms are closing in and we want to be off the mountain before they come. A few spots of rain fall when we get back down onto the path. We have beers at the refuge balcony before going down in the little cable car. 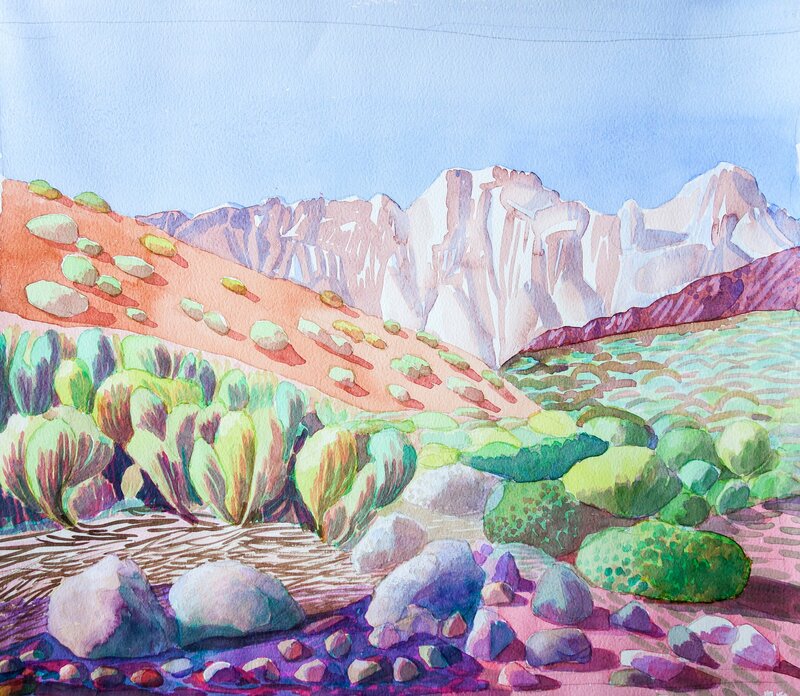 Part way down, I see a brilliant purple fork of lighting right in front of my eyes- vivid and detailed because it is so close to me – just outside the window of the cable car, clear and sharp in shape, very bright, very purple, very big, and a fraction of a second later an explosion like a bomb going off. 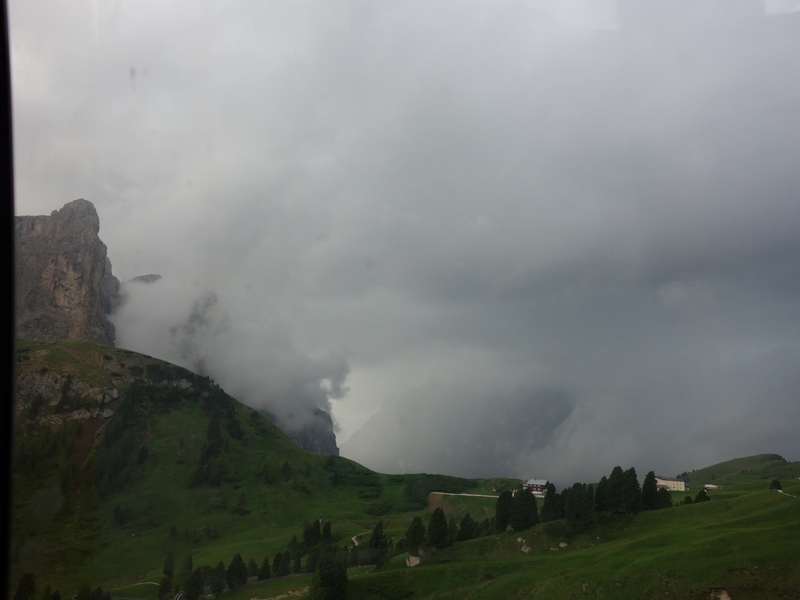 Immediately the cable car stops and we are suspended in the middle of the storm, not knowing what has happened, or what has been struck and maybe damaged. Either the cable car or the wire very close to use must have been struck by lightning. We sit gazing out into the deep grey cloud from which is pouring torrential rain and hail. After about five minutes to our relief the car starts up again through the torrential rain. Just one of life’s little excitements. 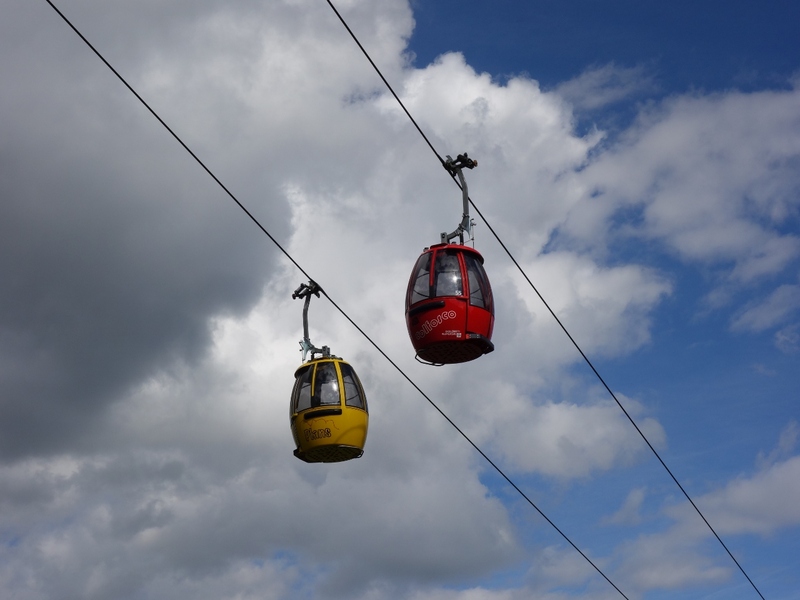 The Cable Cars that got struck by lightning – obviously this photo isn’t taken at the time of the storm, but just to show the little pods we were suspended in during the tempest. 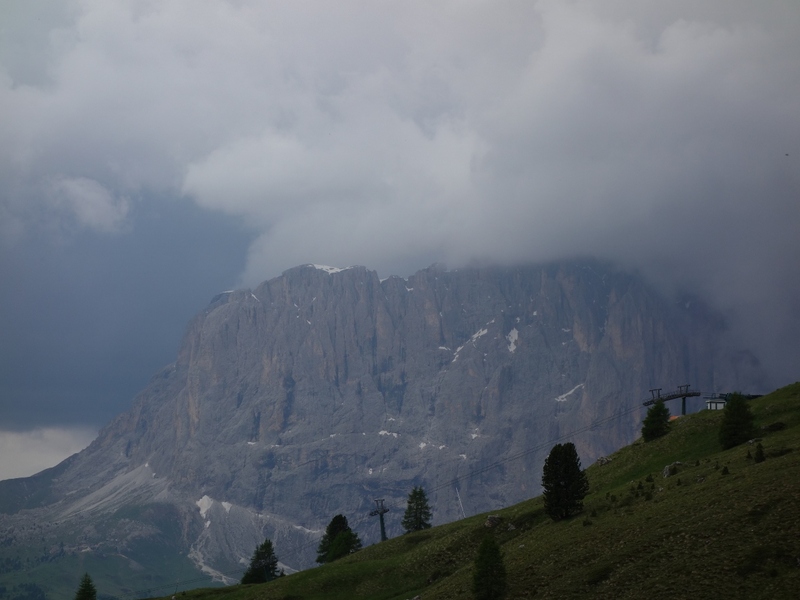 This entry was posted in ITALY, THE ALPS, WEATHER and tagged Dolomites, Gardena Pass, Gran Cir, Jimmys refuge, journal, Lightning, Lightning Strike, photography, places, rock, sport, storm, travel, Via Ferrata. Bookmark the permalink. Yes, a few. 🙂 I leave for Italy again come the end of Nov. Where are your next travels taking you? Well told. Lightning is beyond belief even if most of us don’t truly think it’s real until something happens. Thanks.